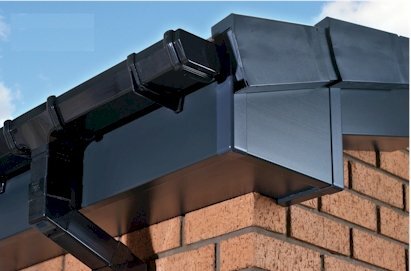 uPVC Fascias & Soffits - Master Plastics offer a huge range of uPVC fascia boards soffits soffit vent and fascia accessories in a wide range of fascia colours, all at competitive prices. We offer classic white fascia boards and colours including Light Oak, Rose Wood, Mahogany, Black, Brown anthracite grey red and green as well as many more colours for the maintenance free home. No more annual fascia and soffit painting uPVC offer a real alternative. uPVC Fascia Boards - Our fascia boards are manufactured using some of the finest raw materials available in uPVC extrusion industry. Our fascia boards are available in a wide range of sizes and colours suitable for covering existing timber fascias to protect the wood from the weather or we offer full replacement boards allowing installation without the need for any timber fascia backing boards. Our products are BBA approved, manufactured in accordance with British Standards and conform to all relevant environmental legislation. uPVC Maintenance free - Fascias.com offer uPVC products that require little or no maintenance other than the occasional clean once installed. Creative uPVC - Create The Roofs Eaves design and colour of your choice. Our uPVC fascia boards are available in a wide variety of colours, finishes, and styles. Performance - All uPVC fascia boards in the fascias.com range have been specifically designed to withstand the test of time, to provide good clean looks and weatherproof performance. Accredited - Master Plastics Supply Products are accredited by the BBA, manufactured in accordance with British Standards and conform to all relevant environmental legislation. Thermally even - Fascia boards can also be used as window reveal liners Once installed window reveal liners will provide extra thermal efficiency within homes and buildings helping to reduce heating bills. Durable yet flexible - uPVC Fascias will not rot, bend, warp or discolor and come with a comprehensive guarantee. Simple to clean and maintain uPVC fascias will provide you with years of trouble-free performance.